One thing you should know about Ron Anderson is virtually everything he saw, read, heard, felt (and I suppose smelled and tasted!) was somehow instantly “cut-and-pasted” into his mind. And he had an uncanny ability to access it at a moment’s notice. 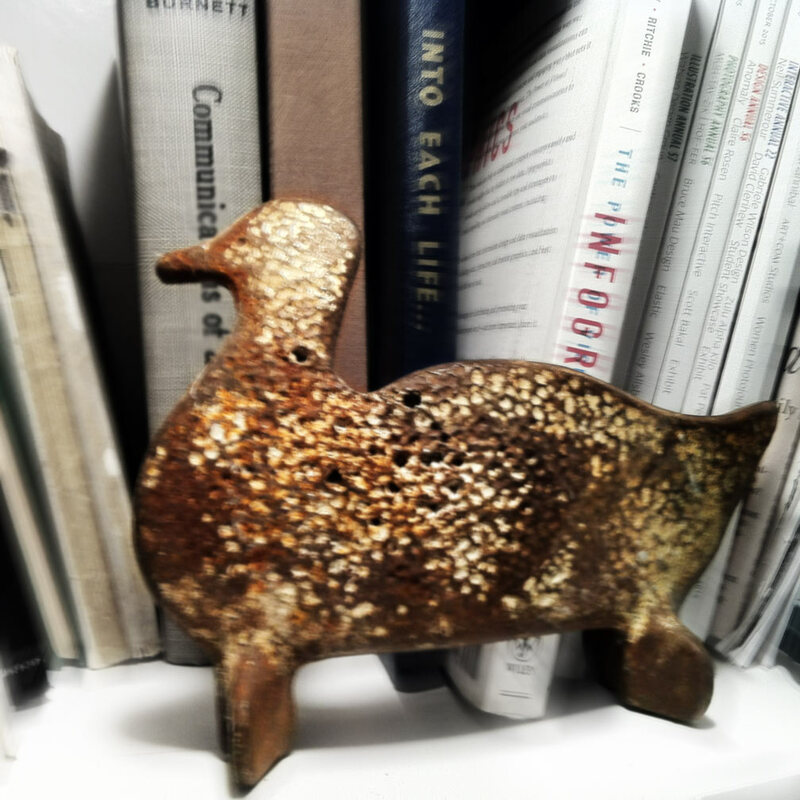 A good example is the rusty, antique shooting gallery duck sitting on my bookshelf. When I came back from lunch, it was back where it belonged. For almost a month I was in the dark about why he had borrowed it. Then he showed me this postcard. It was one of ten he’d created for an international direct mail campaign to current clients, prospective clients and media people. Ron once told me “There are no new ideas. Only new combinations of existing ones. “The best way to insure a steady supply of new combinations is to fill the pipeline with an endless supply of creative fodder. Editor’s note: The reason I can remember this day like it was yesterday is b/c although Ron had been in my office several times before, he never once mentioned the tchotchkes sprinkled throughout it. So I just assumed he didn’t notice or didn’t care.